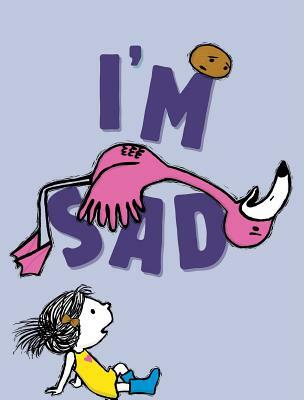 A girl, a potato, and a very sad flamingo star in this charming sequel to I’m Bored by New York Times bestselling author and comedian Michael Ian Black and celebrated illustrator Debbie Ridpath Ohi. Everyone feels sad sometimes—even flamingos. Flamingo learns that he will not always feel this way. And his friends learn that sometimes being a friend means you don’t have to cheer someone up. You just have to stick by your pal no matter how they feel. Even if they’re a potato. [I]n I’m Sad, the funny and tender-hearted follow-up to 2012’s I’m Bored, a girl, a potato and a flamingo learn that sometimes, the only way to cope with negative feelings is by giving yourself the time and space to fully feel them.